LTP has launched a new Cement, Grout & Salt Residue Remover. The new product replaces conventional acids normally used to remove cement and grout residues, and can be used on all types of tile and natural stone surfaces, except those with a polished finish. This means it can be safely applied to unpolished acid-sensitive surfaces, including limestone and travertine. As well as removing new and existing building residues, the new treatment also disperses rising salt residues caused by issues including substrate moisture and spot fixing. 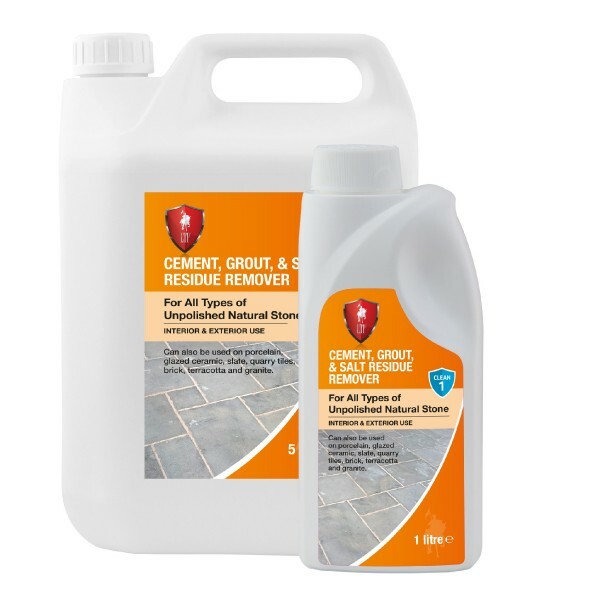 Developed and manufactured in the UK, the new Residue Remover can be used indoors and outside on porcelain, glazed ceramics, quarry tiles and terracotta, slate, brick, sandstone, granite and unpolished natural stone. A diluted application removes mild residue within 30 minutes, whilst a neat application and agitation gives instant results. Deposits are then removed and surfaces rinsed with clean water.